Suitable for stair spaces both internally and externally, Novaproducts’ stair nosing solutions can be fitted to a variety of surfaces. Additionally, both flush and surface mounts can be installed, with the latter featuring a ramp. Stair nosing is an economical and easy-to-clean product that provides your stairs with exceptional safety and stability. Designed to blend in with the rest of your surroundings, our stair nosing gives steps extra space to walk on. Through this method, the lengths of the steps are increased to actively reduce the potential risk of falling down – especially when you find yourself in a rush. Also perfect for commercial spaces, these solutions allows stairs to be more comfortable to walk on and protect you from slipping. It’s important to note that stair nosing must be fitted by law, to ensure the overall structure complies with safety standards. Additionally, these products improve the visibility of steps. Our Best Selling CCRG Range, Installed at over 1000 Projects in WA. Designed and produced in Western Australia, the CCRG Stair nosing range is suitable for staircases both inside and outside. 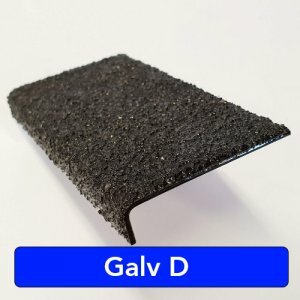 Application on carpet, wood, ceramic, concrete and vinyl surfaces is ideal and the range is available with an optional ramp finish. This economical solution is easy to install, clean and can be purchased as a package deal. 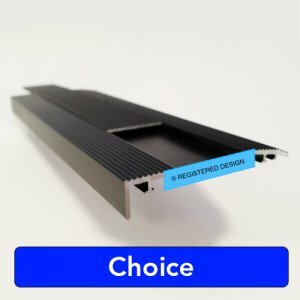 The PVC internal stair nosing insert is a ribbed rubber insert that is perfect for internal applications. The PVC insert is our most economical stair protector. The product is easy to clean and ideal for installers who prefer an easy installation. The PVC insert is WA made and stocked with very short lead times. Having been on the market and used in hundreds of projects over a long period of time, quality and long life is assured. Read More. The Tiger Stair nosing range features a top-tier, slip-resistant coating to protect stairs from daily wear and tear. Ideal for external application. Manufactured from 6061 T6 Aluminium, this Epoxy-based product is compliant with all Australian and New Zealand safety standards. Custom sizes are available (standard is 4.8m), along with a diverse range of colours. Read More. The Panther Stair Nosing range is a curvable stair nosing that is ideal for any staircase. The insert is compliant with all Australian and New Zealand safety standards. The standard size is 5 meter lengths, however the nosing can be customised as well. 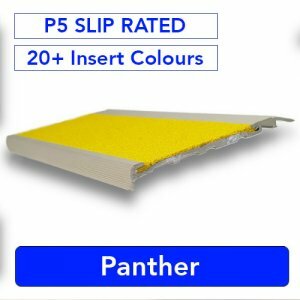 Panther has a large colour range and is Perth stocked, meaning short lead times and fast turnaround. The lion Stair Nosing insert is designed specifically for rough areas. 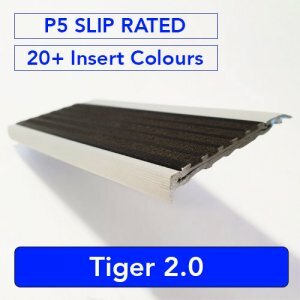 Lion has a P5 stair tread slip resistance and is also chemical and UV resistant. 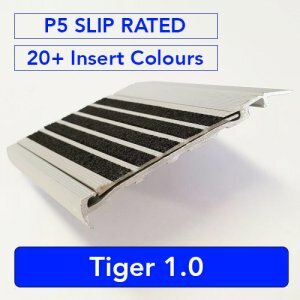 This product is ideal for anyone that is looking for a long lasting external stair nosing. Anti-Slip Metal Plating is a great product for walkways, ramps, etc. that are subject to slippery, oily and/or dirty conditions. Many colours options available. 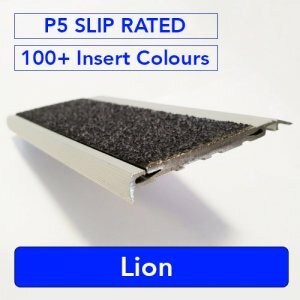 These hazards can be easily and quickly overcome with the installation of Anti-Slip Metal Plating. 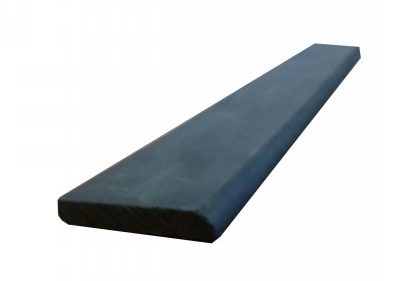 Crafted with a durable rubber base and friction additives, this moulded stairtile is rigid in form and provides a stable step edge for a variety of applications – interior or exterior. Use on stone, ceramic tiles, terrazzo, concrete and timber stairs. 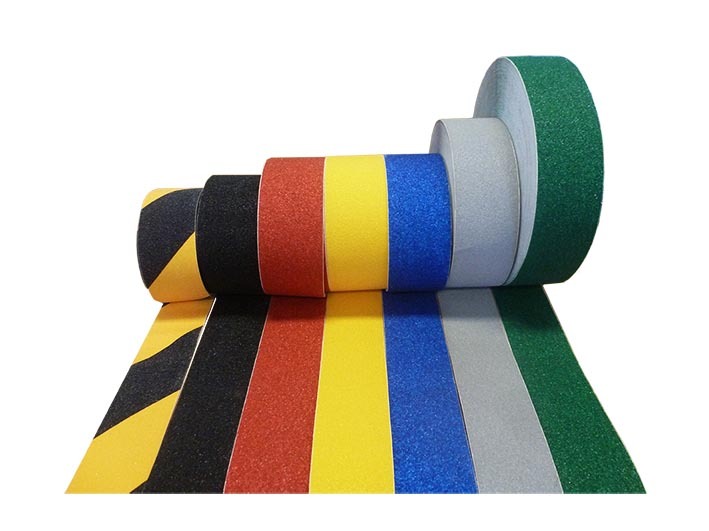 As an economical solution that ensures stairs meet compliance regulations, Nova Escape tape is ideal for concrete, tiles, wood or vinyl staircases. A diverse colour range is available, as well as ‘CAUTION’ and ‘WATCH YOUR STEP’ options. Please be aware that the Nova escape stair nosing tape is only recommended as a temporary solution and not for permanent use. Colours include black, yellow, red, green, blue and many more. Novaproducts also stocks additional ranges for edging and trim requirements. To find out more about these products, or our stairnosing solutions listed above, contact our professional team on (08) 9455 2228.